For years to come, TV viewers will know her as “Sgt. Trudy Platt” on Chicago PD, a program consistently in the top 10 percent of television series. But for Oak Parker Amy Morton, Chicago PD is just the latest in a long career of stage, screen, and television productions where she has worked as an actress, director, artistic director, and teacher. Born on New Year’s Day, 1958, Morton attended Holmes School and was a 1976 graduate of Oak Park River Forest High School (OPRFHS). Her first taste of acting came at age six or seven at Holmes Elementary School after attending an after-school drama class and deciding right then she would spend her life as an actress. This decision was nurtured at OPRFHS where she was enrolled in the school’s Experimental Program which allowed her and her fellow drama students to select and produce whatever plays they wanted. Her teachers saw so much promise they encouraged her to pursue acting classes in Chicago. She studied with the ensemble cast at the St. Nicholas Theater where she learned from working professional actors and became an intern. After two years at Triton College and a semester at Clarke College in Dubuque, Iowa, Morton returned to Chicago as an ensemble player at the St. Nicholas (later the Remains Theater) for 15 years and, starting in 1997, at the acclaimed Steppenwolf Theater. While she is a stage performer and director at heart, Morton has acted both in movies (10, including 8MM, Up in the Air, The Dilemma, and Blue Bird) and TV series (14 including Chicago PD, Blue Bloods, Boss, and Homeland, for a total of 148 programs). Not surprisingly, it is for her stage work as an actress and director that Morton has received her greatest accolades, both national and local: she has received two Tony Nominations for best actress; two Drama Desk nominations; a Helen Hayes Award nomination; and nine Joseph Jefferson Award nominations and one win. Her 50+ stage credits include August-Osage County; Who’s Afraid of Virginia Woolf; You Can’t Take it With You; Guards at the Taj; Death of a Salesman; Glengarry Glen Ross; and One Flew Over the Cuckoo’s Nest (as Nurse Ratchet). 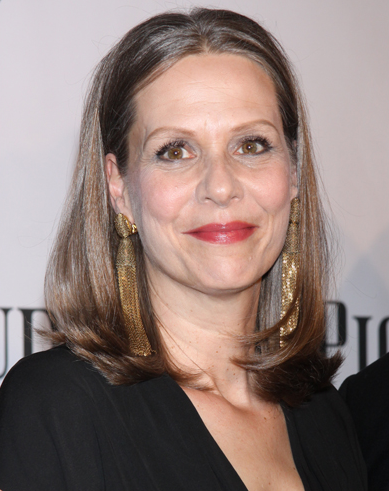 Amy Morton is married to Rob Milburn and lives in Lincoln Square, Chicago. She has been described as a “Chicago Legend” but she was an Oak Park “Hometown Legend” first. Sources include Wednesday Journal, Oak Leaves, Internet Movie Data Base, Internet Broadway Data Base, TV Guide, Wikipedia, OPRFHS Tabula, and Steppenwolf Theater.com.